Abandoned Lamborghini Countach In Japan Left To Wither & Rot! Abandoned Lamborghini Countach In Japan Left To Rot! It`s really sad when such beautiful supercars are left to the mercy of the elements. This is exactly the case with one beautiful Lamborghini Countach. 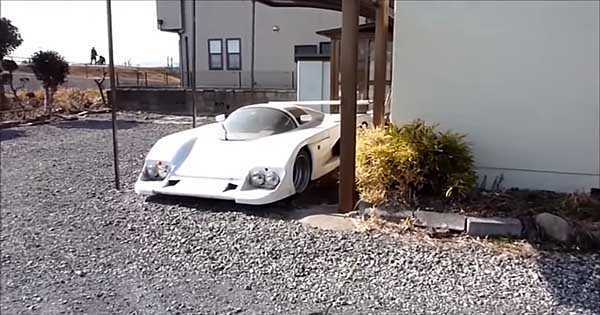 The abandoned Lamborghini was found in a Japanese neighborhood. Now, we don`t really know much about the background of this car. However, if the owner could`ve stopped it from being left to rot like that, he should`ve done that. On the other hand, we can`t really judge because we have no clue what happened to the owner of this exotic vehicle. Some people are also saying that this neighborhood was heavily struck by the nuclear meltdown that happened in Japan a few years back. No wonder though, the neighborhood really looks depressing. Be that as it may, some people have a few more things to say about this vehicle. Many people are stating that this abandoned Lamborghini is actually a replica. Some things that might indicate that this vehicle is a replica Countach is the indicator light lenses which don`t have the black outline found on the originals. Also, the wheels seem a bit weird. Elsewhere, you can find other components that are bit weird, like the bonnet badge which is placed on the bonnet instead of being recessed. The side windows look flat while the originals are curved. Nevertheless, even if this is a replica Countach, is a great effort. It`s a really neat kit which shows that this Countach has some pretty awesome value because some people really put a great effort into building such a fine replica. We hope that someone will take care of this abandoned car and will restore it to its former glory. At last, check out this awesome Camaro Z28 barn-find!